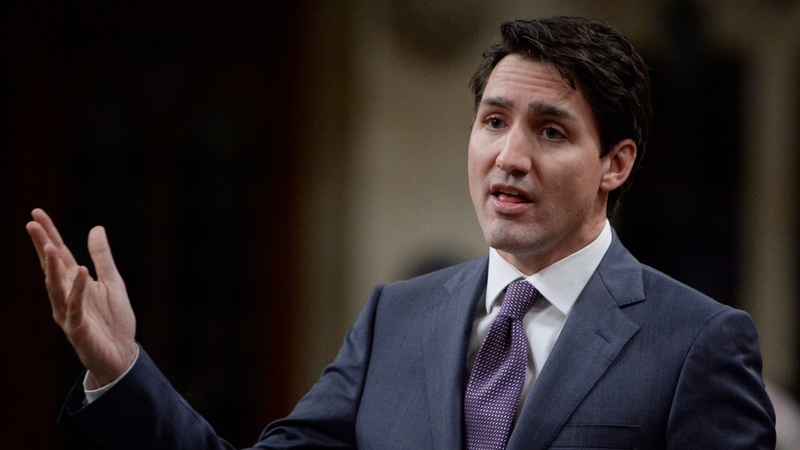 OTTAWA -- Following is the text of Prime Minister Justin Trudeau's apology in the House of Commons for the federal government's past treatment of members of the LGBTQ community. One of the greatest choices a person can make in their life is the choice to serve their fellow citizens. Maybe it's in government, in the military, or in a police force. In whatever capacity one serves, dedicating your life to making Canada -- and indeed, the world -- a better place is a calling of the highest order. Now imagine, if you will, being told that the very country you would willingly lay down your life to defend doesn't want you. Doesn't accept you. Sees you as defective. Sees you as a threat to our national security. Not because you can't do the job, or because you lack patriotism or courage -- no, because of who you are as a person, and because of who your sexual partners are. Now imagine, Mr. Speaker, being subjected to laws, policies, and hiring practices that label you as different -- as "less than." These aren't distant practices of governments long forgotten. This happened systematically, in Canada, with a timeline more recent than any of us would like to admit. Mr. Speaker, today we acknowledge an often-overlooked part of Canada's history. Today, we finally talk about Canada's role in the systemic oppression, criminalization, and violence against the lesbian, gay, bisexual, transgender, queer, and two-spirit communities. Discrimination against LGBTQ2 communities was quickly codified in criminal offences like "buggery," "gross indecency" and bawdy house provisions. Over our history, laws and policies enacted by the government led to the legitimization of much more than inequality -- they legitimized hatred and violence, and brought shame to those targeted. While we may view modern Canada as a forward-thinking, progressive nation, we can't forget our past: The state orchestrated a culture of stigma and fear around LGBTQ2 communities. And in doing so, destroyed people's lives. You see, the thinking of the day was that all non-heterosexual Canadians would automatically be at an increased risk of blackmail by our adversaries due to what was called "character weakness." The public service, the military, and the RCMP spied on their own people, inside and outside of the workplaces. Canadians were monitored for anything that could be construed as homosexual behaviour, with community groups, bars, parks, and even people's homes constantly under watch. During this time, the federal government even dedicated funding to an absurd device known as the Fruit Machine -- a failed technology that was supposed to measure homosexual attraction. The very thing Canadian officials feared -- blackmail of LGBTQ2 employees -- was happening. But it wasn't at the hands of our adversaries; it was at the hands of our own government. And to those who took their own lives -- we failed you. To those who wanted to serve, but never got the chance to because of who you are -- you should have been permitted to serve your country, and you were stripped of that option. It is our collective shame that you were so mistreated. And it is our collective shame that this apology took so long -- many who suffered are no longer alive to hear these words. And for that, we are truly sorry. Further, I am pleased to announce that over the course of the weekend, we reached an agreement in principle with those involved in the class action lawsuit for actions related to "the purge." Mr. Speaker, Canada's history is far from perfect. We're Canadians, and we want the very best for each other, regardless of our sexual orientation, or our gender identity and expression. We will support one another in our fight for equality. And whether you discover your truth at six or 16 or 60, who you are is valid. It is because of your courage that we're here today, together, and reminding ourselves that we can, and must, do better.